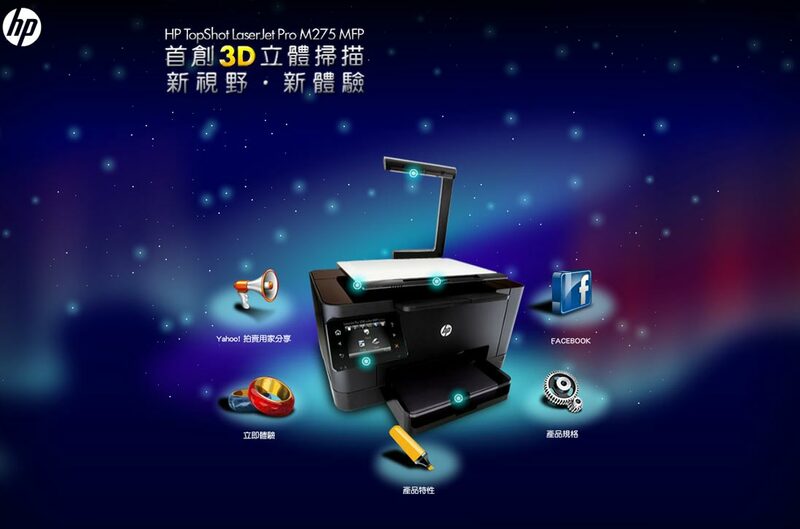 HP's Topshot LaserJet is an innovative printer with 3D scanning function. 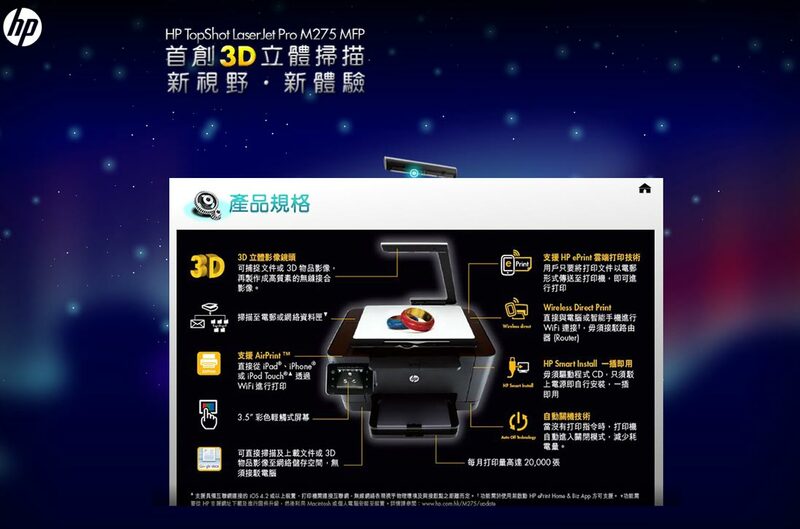 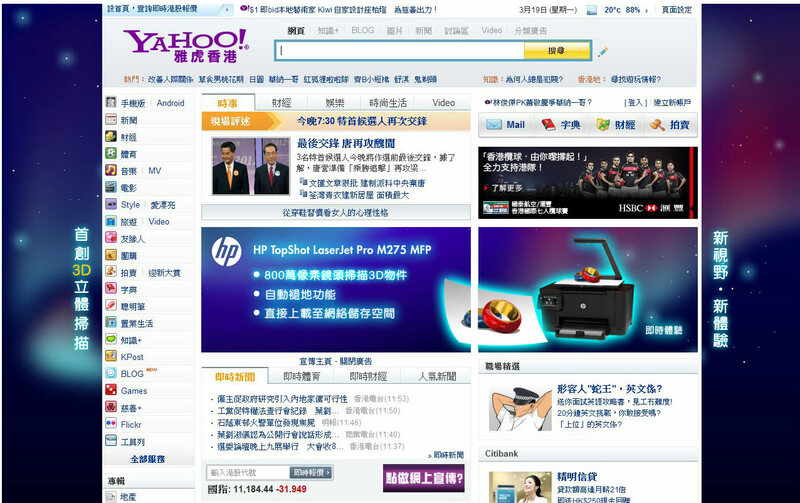 HP needed a way to let consumer experience the 3D scanning via digital channel. 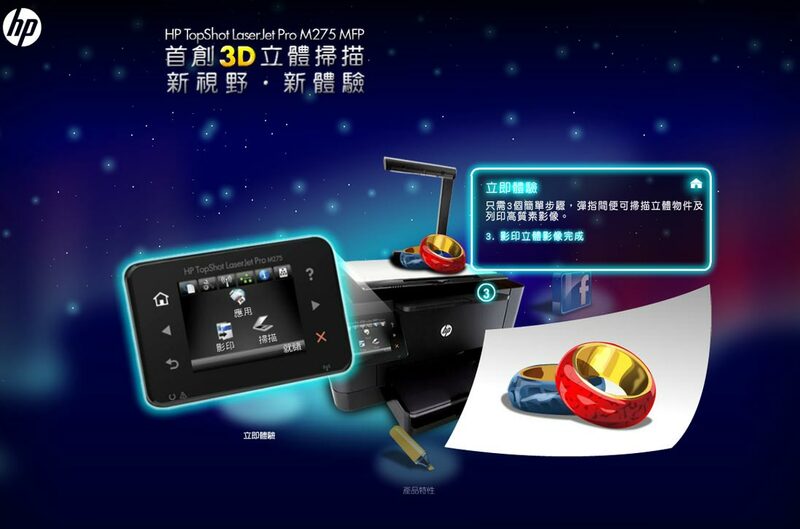 So we developed a full flash site with a virtual printer where consumer can grab and drop items on it to try the 3D scanning.